Your public IP address is what identifies your computer on the internet. It is assigned by your ISP, and depending on the type of service you have subscribed to, your public IP may remain the same (static IP) or be periodically updated (dynamic IP). Each computer also has a local IP address, which is also referred to as the Private IP address. The local IP is what identifies computers on a local network (behind the same router) and, if necessary, it can be changed in the router's settings (refer to the manual provided with the router or check on the manufacturer's website) or via the Windows Control Panel. Is It Illegal to Change Your IP Address? Your IP, or Internet Protocol, address acts as your computer's ID card, allows it to be located on a network, and makes it possible for you to access the web. You might want to change your IP address for several reasons, including to avoid consequences when illegally downloading content from the Internet or in an effort to protect your anonymity while browsing. Your IP address is expressed as a series of numbers, and there are usually at least two types that are associated with your device: the local IP address and the external (or public) IP address. Your local IP address is used by an internal network and allows several machines to connect to a given router. Your external IP address is assigned to your router by your internet service provider (ISP). Depending on your ISP, you will be assigned either a static IP address — meaning that each computer connected to the router receives a designated IP address — or a dynamic IP address. If you have a static IP address, you will not be able to renew or change it; if you have a dynamic address, your ISP may decide to regularly update it at its discretion. 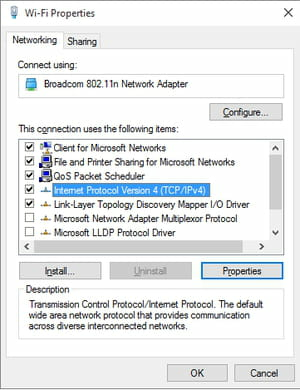 IP address conflicts occur when two computers present on the same DHCP network share the same IP, but fortunately, there is a simple way to refresh your current IP address(es) in Windows. and press [Enter] to launch the Command Prompt. 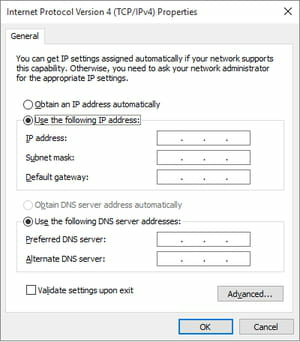 Windows will, then, assign a new random IP to each of the devices connected to the router (within the allowed IP address range). Head to the Control Panel > Network and Sharing Center > Change Adapter Settings > Network Connections. Windows will then display a list of known connections (Ethernet or WiFi). While you cannot change your external IP address on your own (you will need to contact your ISP and make a request to do so), you are able to hide your address when browsing the web. You can download a VPN service, like TunnelBear or Hide.Me, to mask your IP address. It is completely legal for you to change your IP address, either on your own or with the help of your internet service provider. Published by jak58. Latest update on April 8, 2018 at 04:12 PM by Olivia Long. This document, titled "How To Change Your Local IP Address," is available under the Creative Commons license. Any copy, reuse, or modification of the content should be sufficiently credited to CCM (https://ccm.net/).